The third African Fashion Week Toronto officially kicks off today with the Industry cocktail party at The Drake Hotel in Downtown Toronto. From August 13-16 designers from Canada, USA, Europe and parts of Africa will descend upon the city to present their collections and participate in various events taking place over the four days. 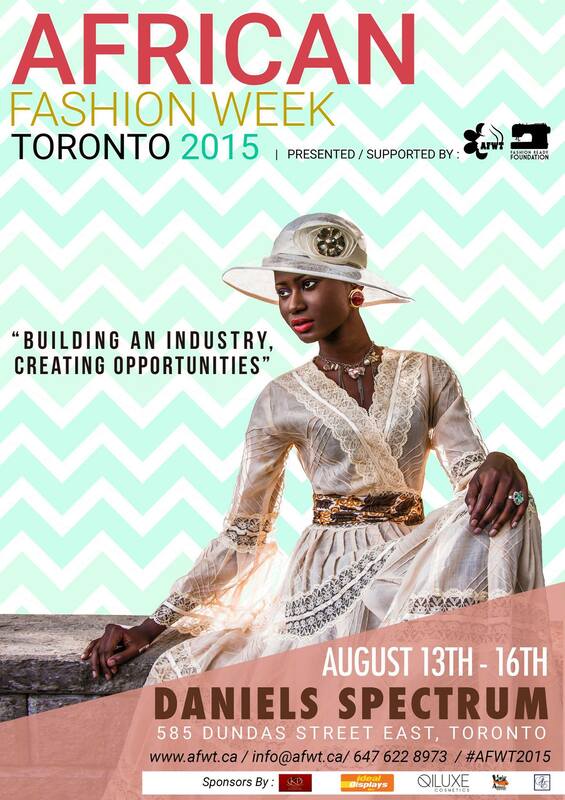 African Fashion Week has been popping up all over the world and it was long overdue for a diverse city like Toronto to have one also. Launched in 2012, it keeps getting bigger as each year passes. The industry cocktail party is Thursday August 13th at the Drake Hotel in downtown Toronto and will be hosted by Angelina Williams of #TasteMyLife with music by Award-winning DJ Nana. Friday and Saturday promises to be exciting as designers present their collections and student designers show their work on the runway for a Student Designer Competition. 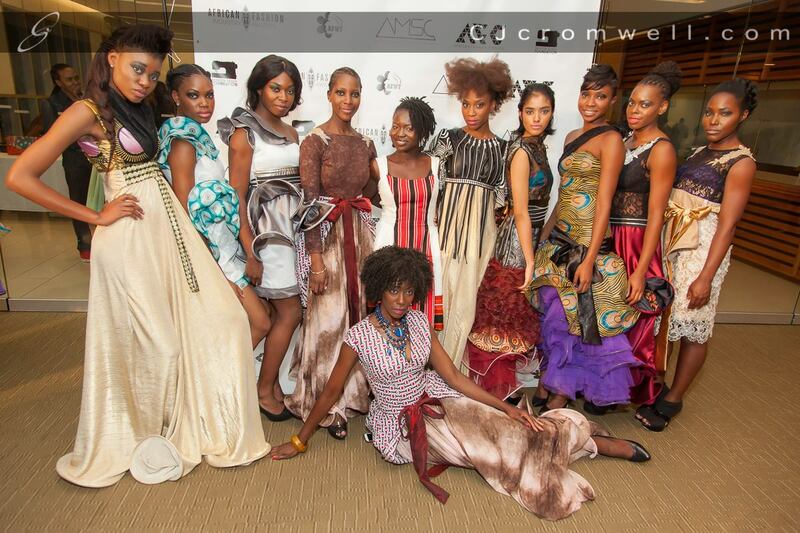 Models wearing the clothing from Black Trash, a fashion label from Botswana at African Fashion Week Toronto 2014. 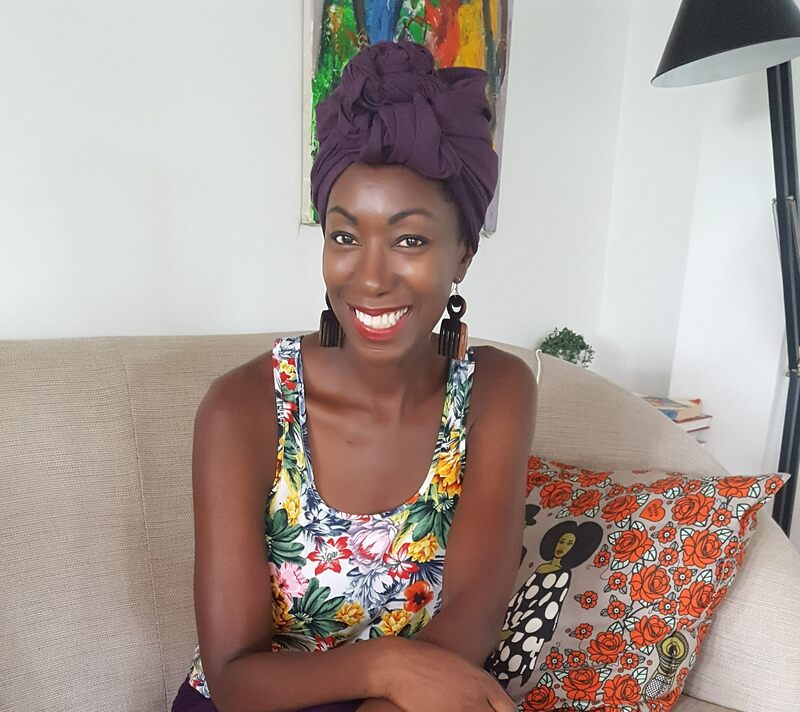 This year will also feature the second African Fashion Industry Awards (AFIA), to be hosted by non other than myself – Ivy Prosper, on Sunday August 16. 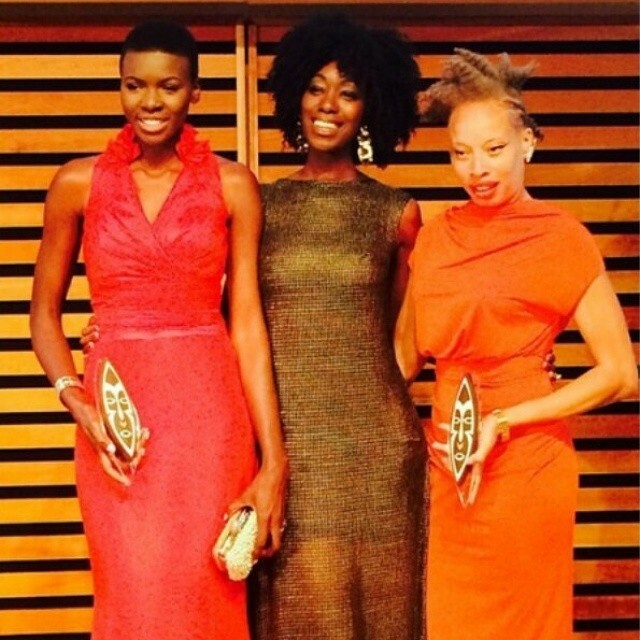 I had the great pleasure of hosting last year and was honoured to present the award of Model Excellence to International Model Stacey McKenzie. This year AFIA will be honoring Ugandan Model Alek Wek for Model Excellence. 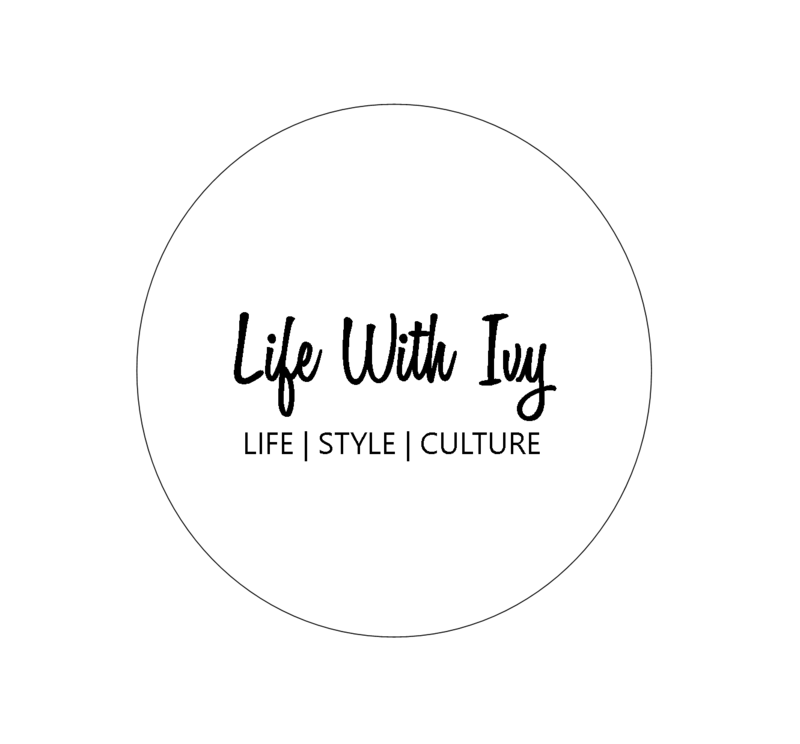 I’ll be posting updates on the weekend filled with exciting events!